Ο Ντάσιελ Χάμετ είναι ο γενάρχης της αμερικάνικης αστυνομικής λογοτεχνίας. Γεννήθηκε στις 27 του Μάη 1894 στο Μέριλαντ των ΗΠΑ και πέθανε στη Νέα Υόρκη το 1961. Σε ηλικία 14 ετών ο Χάμετ αφήνει το γυμνάσιο και κάνει διάφορες δουλειές. Στα 21 του, προσ­λαμβάνεται ως ντετέκτιβ στο μεγαλύτερο γραφείο της χώρας. Μέλος του ΚΚ ΗΠΑ από το 1937 με πλούσια πολιτική δράση. Το 1946 εκλέγεται πρόεδρος της Επιτρο­πής Πολιτικών Δικαιωμάτων Νέας Υόρκης. Ανάμεσα στις υποθέσεις που αναλαμβάνει η Επιτροπή, είναι η αποφυλάκιση μ' εγγύηση των διωκόμενων αγωνιστών (μια απ' τις υποθέσεις ήταν η αποφυλάκιση μ' εγγύηση δε­καέξι στελεχών της Ομοσπονδίας Ελληνικών Ναυτεργατικών Οργανώσεων, της περίφημης ΟΕΝΟ, που κρατούνταν το Νοέμβρη του 1949 στο νησί Ελις έξω απ' τη Ν. Υόρκη). Την εποχή του γερουσιαστή ΜακΚάρθι ο Χάμετ καταδικάζεται σε έξι μήνες φυλακή. Οταν αποφυλακίζεται είναι βαριά άρρωστος. Από το 1956 ζει αποτραβηγμένος ως το 1961 που άφησε την τελευταία του πνοή. Ο «Κόκκινος θερισμός» εκδόθηκε σε βιβλίο το Φλεβάρη του 1929. Το έργο αυτό αποτελεί βαθιά τομή στο ως τότε αστυνομικό μυθιστόρημα, για το ρεαλισμό του, για την προσήλωση του συγγραφέα στην αλήθεια της «πιάτσας» και στην κατάρριψη των μύθων του κλασικού αστυνομικού μυθιστορήματος. Η βασική συνεισφορά του Χάμετ είναι ότι τοποθετεί τη δράση, τα φονικά που τα κάνει να φαίνονται ταυτόχρονα κοινός παραλογισμός, μέσα στην κοινωνία. Βλέπει το φόνο σαν συστατικό μέρος της δηλητηριασμένης, της αθεράπευτα «φαρμακωμένης» καπιταλιστικής κοινωνίας. 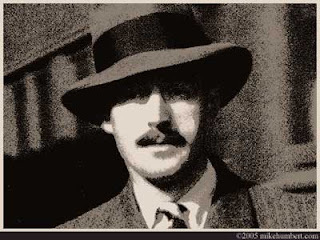 Born in Maryland in 1894, Samuel Dashiell Hammett dropped out of school at fourteen. Over the next several years he held a string of menial jobs, from which he was usually fired. In 1915, he responded to an intriguingly vague classified ad, and soon found himself employed as a Pinkerton detective. Around 1922 he decided to stop being a detective and start writing about them. Appearing primarily in the pulp magazine Black Mask, Hammett's work soon became a favorite with readers. Bringing his real-life detective experience to his writing, he is today regarded as a founding father of the "hard-boiled" genre, as well as elevating detective fiction to the level of literature. Many of his stories featured a pudgy, middle-aged operative of the Continental Detective Agency, known only as The Continental Op. His best-known creation was Sam Spade, the tough, shifty detective of The Maltese Falcon. Like the Op, Spade was based in San Francisco, a city Hammett knew well. If a Hammett story mentioned a pawnshop or apartment building at a certain location, it probably existed, and possibly still does. Hammett's writing career was short. He produced four novels and almost all of his short stories between 1922 and 1931, a span of barely nine years. A fifth novel (The Thin Man) followed in 1934. Then... nothing. Why the long silence? Ironically, Hammett had come to loathe the hard-boiled genre that he had pioneered. He aspired to write mainstream novels that would rival those of Hemingway and Fitzgerald. It wasn't to be: Hammett barely published another word during the last 27 years of his life. During the 1950s, Hammett's support of leftist causes brought the attention of the House Un-American Activities Committee, and he was called upon to testify. Hammett's refusal to name names resulted in five months behind bars. It also caused him to be blacklisted; his books were removed from libraries, and his radio shows cancelled. A man of many contradictions, Hammett was a celebrity and a recluse, a writer so sucessful that he no longer needed to write, a Marxist who served America proudly in two World Wars, a wealthy man who was always broke, and a man who chose prison over revealing information that was nobody else's business. Hounded by the IRS, he died near-penniless in 1961. American novelist who also worked as a screenwriter in Hollywood. Hammett's best known books include THE MALTESE FALCON (1930), filmed three times. It introduced detective Sam Spade who is investigating the murder of his colleague, detective Archer. Spade finds himself involved with an odd assortment of characters, all searching for a black statue of a bird. Among them are the gorgeous redhead Brigid O'Shaughnessy, her employer, Fat Man Casper Gutman, Joel Cairo, an agent of Gutman, and Wilmer Cook, a nervous, trigger-happy bodyguard. With Raymond Chandler Hammett represented the early realistic vein in detective stories. His tough heroes confront violence with full knowledge of its corrupting potential. In his novels Hammett painted a mean picture of the American society, where greed, brutality, and treachery are the major driving forces behind human actions. 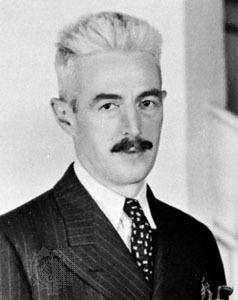 Dashiell Hammett was born in St. Mary's County, Maryland, the son of Richard Hammett, a farmer and politician. Hammett's mother, Annie Bond Dashiell, was trained as a nurse, but was at home most of the time looking after her three children. The family moved to Philadelphia, and then to Baltimore. Hammett studied at the Baltimore Polytechnic Institute but left school at the age of 14 to help support the family. He worked as a newsboy, freight clerk, labourer, messenger, stevedore, and advertising manager before joining the Baltimore office of the Pinkerton Detective Agency as an operator. In Butte, Montana, he was offered money to kill the IWWW labour organizer Frank Little, who was later lynched. After the murder, Hammett's political views became more radical and he resigned from Pinkerton's first time. During World War I Hammett served a sergeant in an ambulance corps. At that time the worldwide Spanish influenza epidemic spread fast, and especially in military installations. Hammett contracted tuberculosis. "I have always had good health until I contracted influenza, complicated by bronchial pneumonia treatment," Hammett told his doctor in 1919. He spent the rest of the war in hospital, and for much of his life suffered from ill health. He rejoined the agency and worked then intermittently to earn extra money - Hammett's pension was small and he now had his own family to support. Most of Hammett's income during 1922-1926 came from writing advertising copy for a San Francisco jewelry store. At this time the investigator known as Continental Op made his appearance in the author's stories. Hammett's first short story appeared in the magazine Black Mask on 1 October 1923, and his fiction writing career as novelist ended in 1934. In Black Mask Hammett became along with Erle Stanley Gardner one of its most popular writers. Under the pseudonym Peter Collinson, Hammett introduced a short, overweight, unnamed detective employed by the San Francisco branch of the Continental Detective Agency, who became known as The Continental Op. In the three dozen stories between 1929 and 1930, featuring the tough and dedicated Op, Hammett gave shape to the first believable detective hero in American fiction. 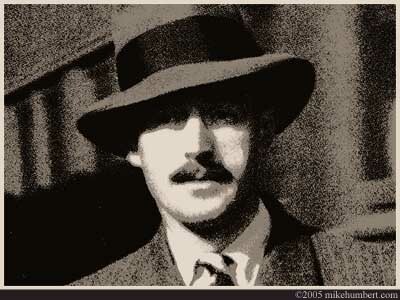 Drawing on his Pinkerton experiences, Hammett created a private eye, whose methods of detection are completely convincing, and whose personality has more than one dimension. Op stories also appeared in hardcover form. RED HARVEST (1929) was a loosely constructed story about corruption and gangsters, set in 'Poisonville', and in THE DAIN CURSE (1929) Op unravels a mystery involving jewel theft, religious cults, a family curse, a bombing, and a ghost. However, in 1929 Hammett turned his attention to a new private eye, Sam Spade, who made his initial appearance in Black Mask in September 1929. Next year the work appeared in book form. Hammett's language was unsentimental, journalistic; moral judgments were left to the reader. The first-person narration of the Op stories is left behind and Hammett views the detective protagonist in the book from the outside. A beautiful woman, Brigid O'Shaughnessy, comes to the office of Spade and his partner Miles Archer. She asks them to trail a Floyd Thursby. Archer is murdered. His wife was seeking a divorce to marry Spade. Joel Cairo offers Spade a reward for the recovery of a statuette, the 'Maltese Falcon'. Also Casper Gutman, a fat man, seeks it, with the help of Wilmer, an evil young man. An imitation in lead is found and Spade calls for the police to arrest Gutman, Cairo, and Wilmer. Brigid, who has been involved in the quest for the falcon, confesses that she killed Archer. Spade doesn't protect her from the consequences, but turns her in. "Listen. When a man's partner's killed, he's supposed to do something about it. It doesn't make any difference what you thought of him. He was your partner and you're supposed to do something about it." (Bogart in The Maltese Falcon). This philosophy also marked Hammett's attitudes when he was questioned about his Communist contacts - he did not reveal them. In 1943 Hammett had screenplay credits for the adaptation of WATCH ON RHINE by Lillian Hellman. She had become Hammett's companion in the 1930s. Hammett was first married to nurse Josephine Dolan, whom he met in the Cushman Institute in the early 1920s. When Hammett was transferred to the hospital at Camp Kearney near San Diego, he started to write to her regularly. "This is the first time I ever felt that way about a woman; perhaps it's the first time I have ever really loved a woman. That sounds funny but it may be the truth." (from Selected Letters of Dashiell Hammett 1921-1960, edited by Richard Layman with Julie M. Rivett, 2001) Hammett and Josephine were married in 1921. After the birth of his second daughter, Hammett's illness partly ended his family life - doctors warned Josephine of the risk of infection, and she took a house north of San Francisco, where Hammett visited during weekends. Formally they divorced in 1937. Josephine left her work as a nurse and Hammett sent his family money, more or less regularly. Reciprocally Josephine sent him her picture, in which she did not smile. THE GLASS KEY (1930) was apparently Hammett's favorite among his novels. The central character, Ned Beaumont, was partly a self-portrait: a tall, thin, tuberculosis-ridden gambler and heavy drinker. THE THIN MAN (1934), Hammett's last novel, presented Nick Charles, a former detective who had married a rich woman, Nora Charles. Her character was based on Lillian Hellman. The book gained a commercial success and inspired a series of adaptations for film, radio, and TV. In 1934 Hammett began working as a scriptwriter for the comic strip Secret Agent X-9. Hammett's earnings from his books and their spin-offs allowed him to continue drinking and womanizing. In the 1930s Hammett became politically active. He joined the Communist Party and was a fierce opponent of Nazism. However, when Hemingway and a number of other writers went to Spain to help the Republicans in the Civil War (1936-39), Hammett remained in the U.S., but helped veterans after their return from the war. at that time Hellman's star was rising. Hammett himself was drinking heavily and had problems with his writing, but his support was crucial for Hellman's own career. She had success as a playwright, travelled in Spain, and an affair with John Melby, a diplomat. During World War II tubercular Hammett served three years in the US Army, editing a newspaper for the troops in the Aleutian Islands. This was perhaps the last, relatively happy period in his life. In 1948 he was vice-chairman of the Civil Rights Congress, an organization that the Attorney General and F.B.I. deemed subversive. He tried to start writing again, hired a secretary, but managed only to produce some notes. For his communist beliefs Hammett became a target during McCarthy's anti-Communist crusade. In 1951 he went to prison for five months rather than testify at the trial of four communists accused of conspiracy. He was blacklisted and when Internal Revenue Service claimed that he owed a huge amount in tax deficiencies, the federal government attacked his income. For a while the State Department kept his books away from the shelves of American libraries overseas. The rest of his life Hammett lived in and around New York, teaching creative writing in Jefferson School of Social Science from 1946 to 1956. Lillian Hellman cared for him in her Park Avenue apartment form 1956. She wasn't afraid of contracting tuberculosis, but was aware of Hammett's venereal diseases he had on occasion. Hammett died penniless of lung cancer on January 10, 1961. For further reading: An Unfinished Woman by L. Hellman (1969); Pentimento by L. Hellman (1973); Scoundrel Time by L. Hellman (1976); Beams Falling: The Art of Dashiell Hammett by Peter Wolfe (1980); Shadow Man: The Life of Dashiell Hammett by Richard Layman (1981); Dashiell Hammett: A Life by Diane Johnson (1983); Hammett: A Life at the Edge by W.F. Nolan (1983); Dashiell Hammett by D. Dooley (1985); Dashiell Hammett by J. Symons (1985); Private Investigations: Novels of Dashiell Hammett by S. Gregory (1985); World Authors 1900-1950, ed. by M. Seymour-Smith and A.C. Kimmens (1996) - See also "hard-boiled" writers: Horace McCoy, Jonathan Latimer, Mickey Spillane - Trivia: According to an old joke, Hammett studied Kant's philosophy early at the age of 13. - American writers in Hollywood in the 1930s and 1940s: James M. Cain, Raymond Chandler, John Fante, Daniel Fuchs, Horace McCoy, Clifford Odets, Maxwell Anderson, Dorothy Parker, John Don Passos, Theodore Dreiser, Nathanael West, William Faulkner, F. Scott Fitzgerald. - Note: Hammett was portrayed by Jason Robards, Jr. in the film Julia (1977), dir. by Fred Zinnemann, based on Lillian Hellman's book Pentimento. - Another film, Hammett, dir. by Wim Wenders (1982), based on Joe Gores's novel (1975), depicts Hammett in the 1920s as an ex-Pinkerton detective and now a struggling writer. The director-screenwriter Samuel Fuller appeared in the film. THE MALTESE FALCON, 1930 - Maltan haukka (suom. Kalevi Nyytδjδ) - film 1931, dir. by Roy Del Ruth; film 1936 Satan Met a Lady, dir. by William Dieterle; film 1941, dir. by John Huston, starring Humphrey Bogart, Mary Astor, Peter Lorre, Sydney Greenstreet. Quote: 'What is it? - 'The stuff that dreams are made of.' (Last line). - Parody of the film, The Black Bird, was made in 1975, dir. by David Giler. From the original cast appeared Lee Patrick and Elisha Cook Jr.
Αναρτήθηκε από Liondas στις 5:37 π.μ.